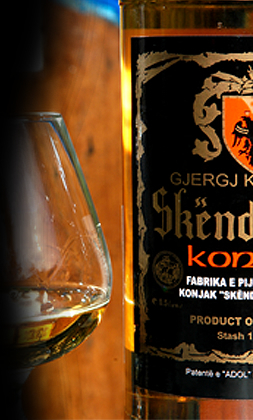 ADOL" ltd. very soon will put on the market two new products of "Gjergj Kastrioti Skenderbeu" cognac, one of which is production of the year 1999; the other one will be bottled in glass bottles of 0.1 litres. The products ensure high quality and current esthetical appearance. DO YOU WANT THE ORIGINAL "SKENDERBEU"! HURRY UP TO OUR CANTINA!